Create production calendars, storyboards, and more, built natively into the world’s leading video, TV & film ﻿﻿production﻿﻿ management software. StudioBinder’s boards, lists, and cards enable production managers and executives to turn creative ideas into action. 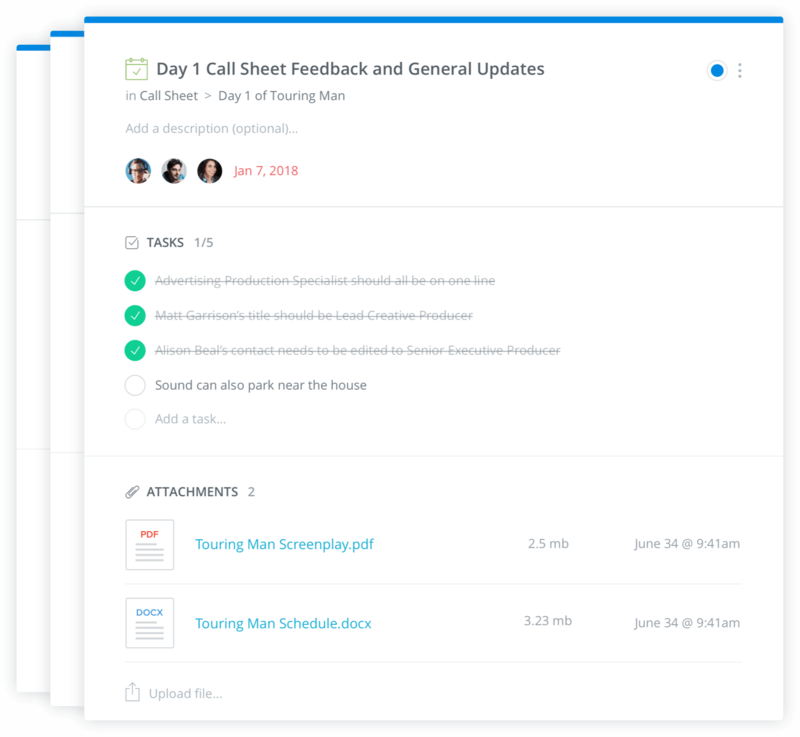 Manage and update your film project management cards from one unified location. See your team's progress visually. Track project progress, identify blockers, and shift resources on-the-fly. Robust task cards; itty-bitty living space. Cards let you keep track of everything your team needs, all in one place. 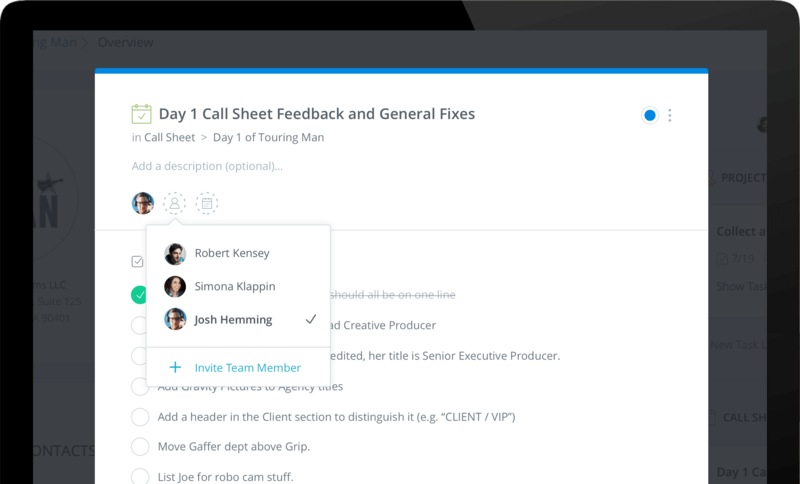 Team members can open cards to add details like checklists, due dates, files, and comments. Invite team members to your account. Assign team members to task card. Filter by person. Track progress. 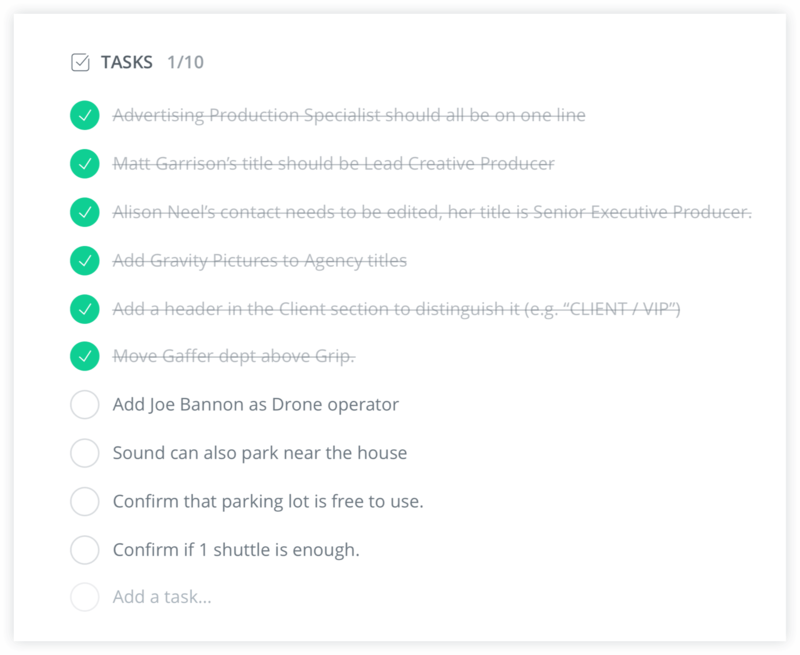 StudioBinder's film and video project management features tie perfectly with it's video-centric features (call sheets, shot lists, etc) so you don’t need to rely on generic, third-party solutions. 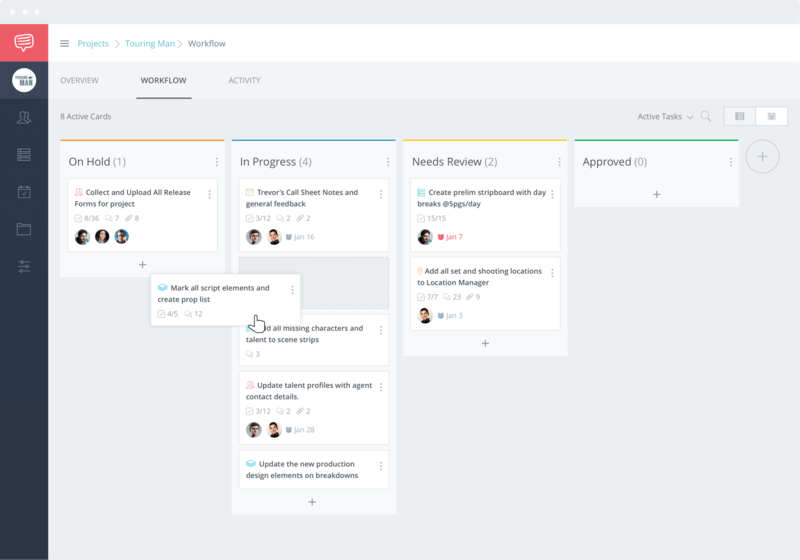 Break down big tasks and share progress by adding checklists to cards. Meet deadlines with due dates and update the card status to share progress. Unlimited attachments means all your files are in one shared space. Use comments to share ideas. 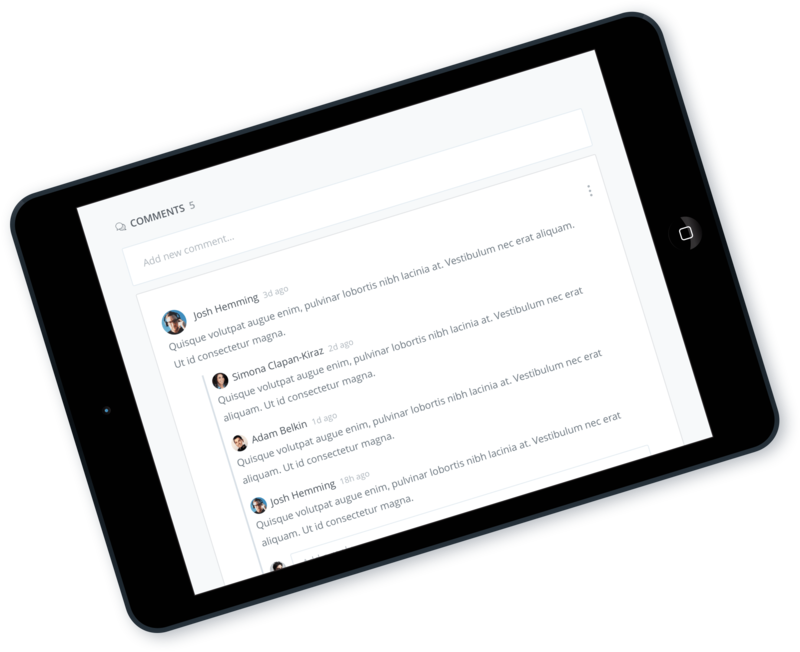 Keep your team in the loop. Comes with robust film project management features to go from chaos to clarity. Easily create tasks for yourself or assign one to a teammate. Due dates ensure every task gets completed on time. Upload files from your computer to any task card. Comment directly on a task card to clarify exactly what needs to be done. Give tasks a clear owner so everyone knows who’s responsible. 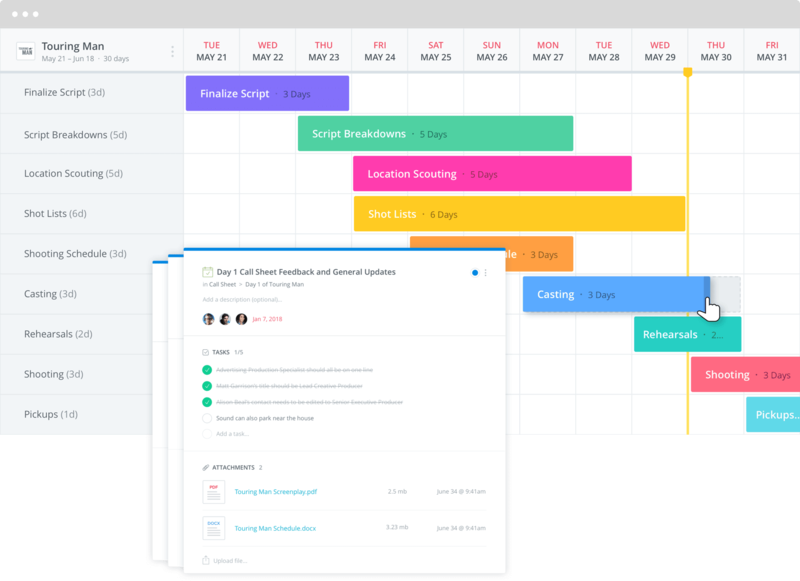 Add task cards without leaving call sheet and scheduling pages. Drag and drop task cards into status columns to visually see progress. Set the status on each card so you can quickly see what needs to be done. Customize workflow columns, status colors and ordering.